People who want to save fare when taking uber. During rush hour, the surge multiplier could be high and go up and down frequently. 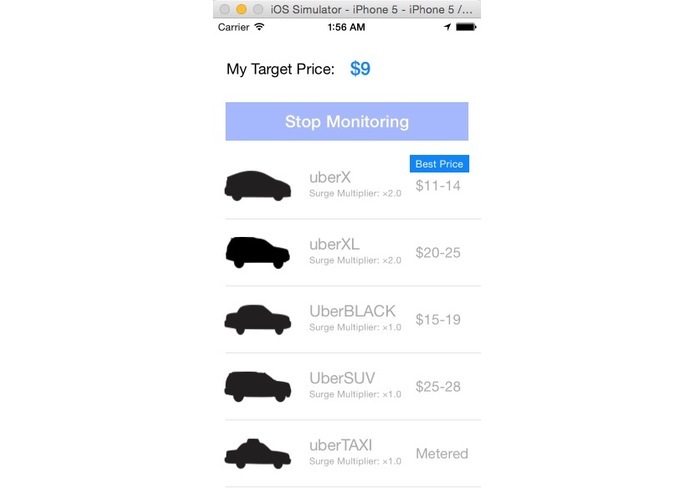 You probably don't want to spend 7× times of regular price on a Uber ride. Instead, you are willing to wait a couple of minutes for surge multiplier to come down. In case that you have a limited budget on a uber rider and you also want to chalk up some steps to stay fit. You might want to take a walk towards your destination until the estimated price hits your budget. 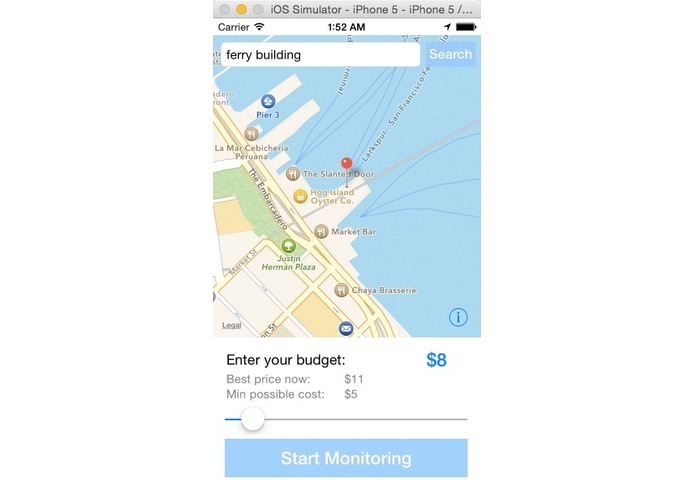 We have our backend service monitor the Uber rider fare price for you. Once it hits your budget, it will send out a notification to you. 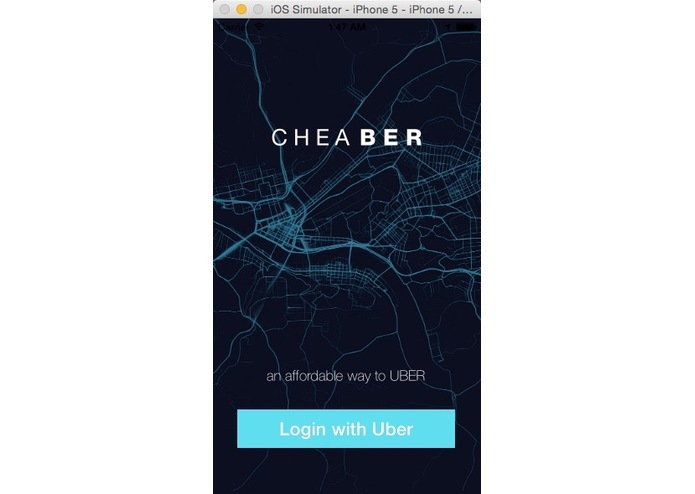 Then our app will deep link you to the Uber app to book a ride.